Known as FoundationOne CDx, the application analyses the tumour genome to identify clinically relevant genomic alterations in a broad range of cancers and provides insights which can help support treatment decisions. Roche announced last week the launch of FoundationOne CDx, Foundation Medicine’s comprehensive companion diagnostic test for personalised cancer care in Singapore. According to the official media release, FoundationOne CDx supports clinicians in their decision-making by providing a clear, in-depth report that describes the unique genomic profile of a patient’s tumour as well as associated, approved therapies and relevant clinical trials. 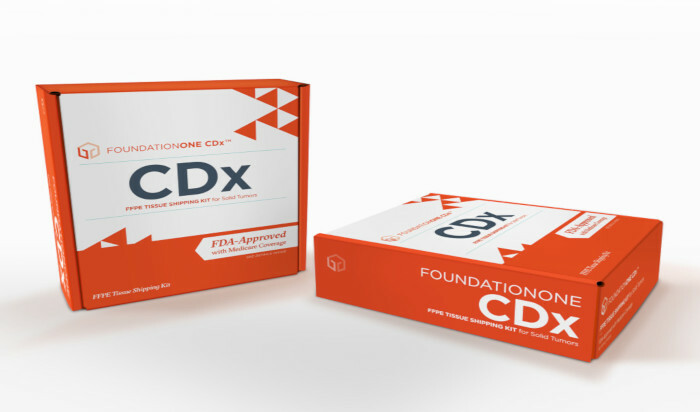 FoundationOne CDx is the next evolution of FoundationOne, Foundation Medicine’s original laboratory-developed genomic profiling test. Relative to its predecessor, FoundationOne CDx includes an updated gene list, comprising all main classes of genomic alterations in 324 of the most commonly mutated genes known to drive the growth of cancer. In the United States, the FoundationOne CDx platform has been reviewed and approved by the US Food and Drug Administration, including analytical and clinical validation, and bioinformatics. “The biggest advantage of next generation sequencing is that it can capture all the essential cancer biomarkers to help clinicians select the right therapy for patients in a single testing attempt, particularly when tumour samples are limited,” said Dr Tay Miah Hiang, Senior Consultant Medical Oncologist at OncoCare Cancer Centre. “Upfront testing of tumour mutational burden (TMB) and additional biomarkers are beneficial to physicians, as they would have more information to guide their treatment selection and the patient would have access to more treatment options,” said Dr Ravindran Kanesvaran, Assistant Professor, Senior Consultant in the Division of Medical Oncology at the National Cancer Centre Singapore, and Chair of the International Society of Geriatric Oncology task force for kidney cancer in the elderly. In February this year, Roche announced that it has acquired oncology EHR company Flatiron Health for US$1.9B. New York-based Flatiron Health was founded in 2012 and offers an oncology-specific EHR platform employed by both community oncology practices and academic medical centers within the US. In addition, the company has also developed a suite of software products that employ real-world data from these records to uncover cancer research and care insights.